Box Office Collections: There is no stopping Raazi at the Box Office as it is continuing to do well beyond the target audience as well. The film had another good day as 5.90 crore came on Wednesday. The collections are consistently staying on to be over the 5 crore mark and that is quite remarkable since one was expecting this to be the best case number even on the opening day. Still, the film has gone much over and beyond the expectations and that is reflecting in the pull that it is demonstrating with every passing day. The film has now also entered the 50 crore club with ease as the number stands at 51.24 crore. The first week will end around the 56 crore mark and while this could well have been a good lifetime total, whatever Dharma and Junglee will gain in from here would be huge added bonus. 102 not Out is continuing to collect on the lower side as the numbers stay on to be decent. With Wednesday bringing in 1 crore* more, the overall total has now crossed the 40 crore mark. With the collections so far reading 40.50 crore*, the Amitabh Bachchan and Umesh Shukla has already done the kind of lifetime business that was expected out of it. One can well expect the film to find its way into the digital medium sooner than later and it should gain a good chunk of audiences on this medium. 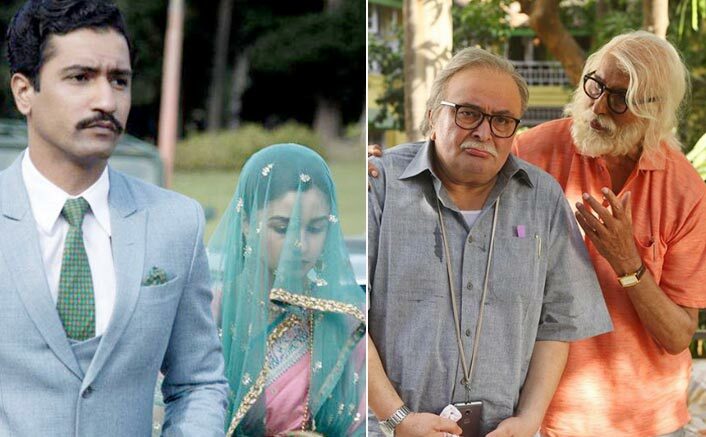 The post Box Office Collections: Raazi Enters The 50 Crore Club In 6 Days, 102 Not Out Holds Well! appeared first on Koimoi.